In a story that’s a couple days old, but eternally upsetting, an employee of Disneyland Paris was found dead in the Phantom Manor—Europe’s equivalent of the Haunted Mansion—on April 4. French police have launched an investigation into the death of a Disneyland Paris worker after his body was found in a Haunted House. 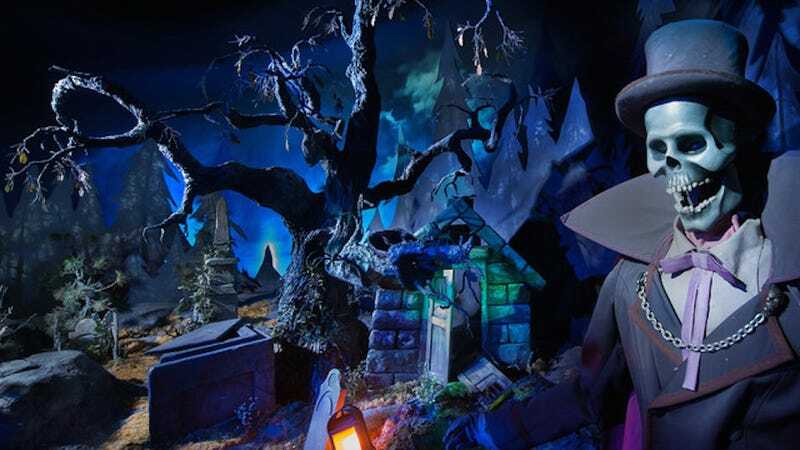 They confirmed they are investigating the death of a male technician in the Phantom Manor. The body of the 45-year old father was found at 10am on Saturday, and it is believed he died of electrocution while carrying out work in the attraction, which showcases ghosts and other sinister themes. Investigators speculate that the man was killed by accidental electrocution. An autopsy has yet to be performed.